Every Christian must pass through one temptation or the other. But we should rest assured that God’s grace is sufficient for us to overcome the temptation. Screwtape Letters is a collection of letters written by an experienced tempter Screwtape, to his nephew, Wormwood, who was assigned to a new convert to tempt him in all manner of ways that God, (whom Screwtape refers to as The Enemy), allows. This book is actually richer and deeper than the number of its pages suggests. It’s not just your normal “playtime book”. Let’s take a look at the main characters. 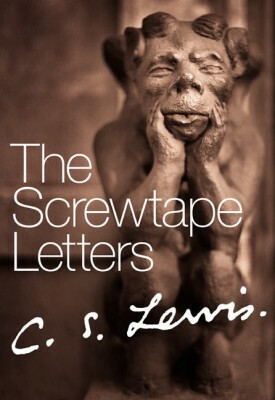 SCREWTAPE: The experienced tempter, writing letters to his nephew, Wormwood. He, with experience, has gathered enough knowledge, tactics and skills to successfully deceive believers. He gives advice to his nephew, which he (Screwtape) believes should help his nephew capture the “patient” and take him back to the devil’s (who is referred to as “our Father”) camp. WORMWOOD: the exuberant tempter seeking advice from his uncle on how to deal with the “patient” in his care. My favorite character is Screwtape. This is because of his subtility in dealing with his patients (believers). I believe that if Wormwood had taken to his advice wholeheartedly, would have been successful in his endeavors. When I picked up this book, I had no idea that I was embarking on a journey of discovery. With each page comes knowledge, accompanied with a lot of “ahas” and “hmms”. The book has allowed me to take a peek into the enemy’s “book of temptations”– as I would have loved to call it. Though the book is not the Bible, I recommend that it not be rushed or just skimmed, but studied carefully; as it is said, “a delicious meal is best enjoyed slowly”. I don’t have a particularly favorite place in the book because every page is filled with hard truths. This book is for every Christian passing through diverse trials and temptations, and even for those who think they have it all going smooth for them spiritually. It’s a must have for everyone.